Gold Eagle HEET Gas-Line Antifreeze and Water remover prevents gas line freeze up and removes water from the fuel system year round. It is safe for all four cycle engines including fuel injected engines. 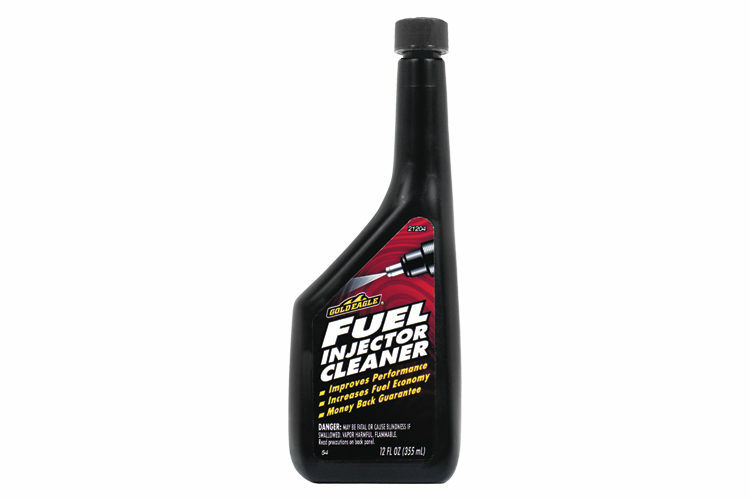 This product helps prevent rust and corrosion by getting the water out of fuel. It can be used with every fill up in below freezing temperatures or whenever you want to absorb water from gasoline. Press down and twist off cap. Remove foil seal. Pour ENTIRE contents into gas tank before or after filling with gas. Bottle treats 20 gallons of gas. Wipe up spills promptly. Use with every fill-up in winter. Removes water and condensation in warm, wet weather. What is HEET® brand? How does it work? HEET® brand contains a special fuel additive and methanol. When HEET® brand is added to the gas tank, it sinks to the bottom and mixes with any water. Since both HEET® brand and water are heavier than gasoline, they go to the bottom of the gas tank. 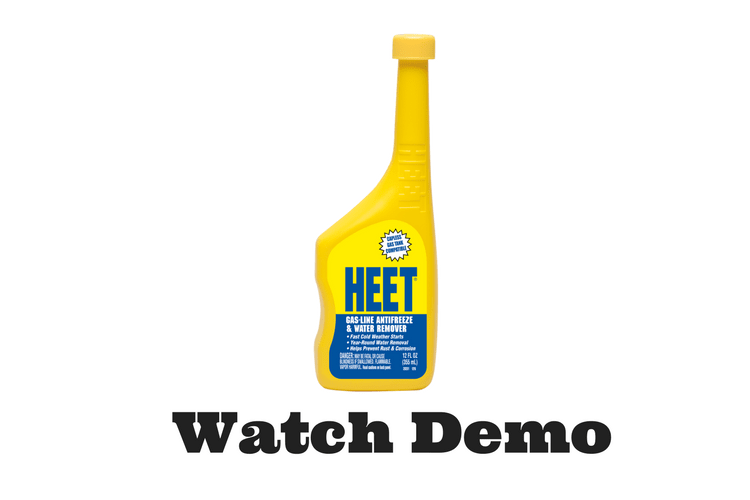 HEET® brand absorbs water and keeps it from freezing, and blocking the flow of gasoline through the gas line and fuel pump. When the vehicle is started, the additives, methanol, water, and gasoline are consumed during combustion inside the engine. Can I use HEET® brand in 2 cycle or diesel engines? No, only use HEET® brand (in the yellow bottle) in 4-cycle gasoline engines. However, ISO-HEET® brand (in the red bottle) can be used in any type of internal combustion engine (2 cycle, 4 cycle and diesel). Will HEET® brand harm my carburetor or fuel system? No, HEET® brand will not harm your carburetor or fuel system when used as directed. Will HEET® brand work when the gas line is already frozen? Maybe, but not always, it depends where the gas line is frozen. You can try adding a bottle of HEET® brand, waiting 15-20 minutes and then trying starting your engine. If that does not work, you should have your car moved to a warm garage to thaw out. To avoid this from happening, you should always use HEET® brand as a preventative measure before temperatures are expected to fall below 32°F (0 °C). What is the shelf life of HEET® brand and ISO-HEET® brand? HEET® brand products do not expire. Unopened bottles of HEET® brand and ISO-HEET® brand have an indefinite shelf life provided the foil safety seal has not been broken. During storage, the bottles may swell and appear pressurized. This distortion is a result of vapor pressure formed by the formula stored at higher temperatures (which can happen in your garage or the trunk of your car). When this happens, the product is still fine to use. It does not diminish the product’s performance. Will HEET® brand or ISO-HEET® brand harm my catalytic converter or fuel injectors? No. HEET® brand and ISO-HEET® brand are completely safe on catalytic converters and fuel injectors. ISO-HEET® brand will also safely clean the fuel injectors. How many bottles of HEET® brand or ISO-HEET® brand should I use at one time? 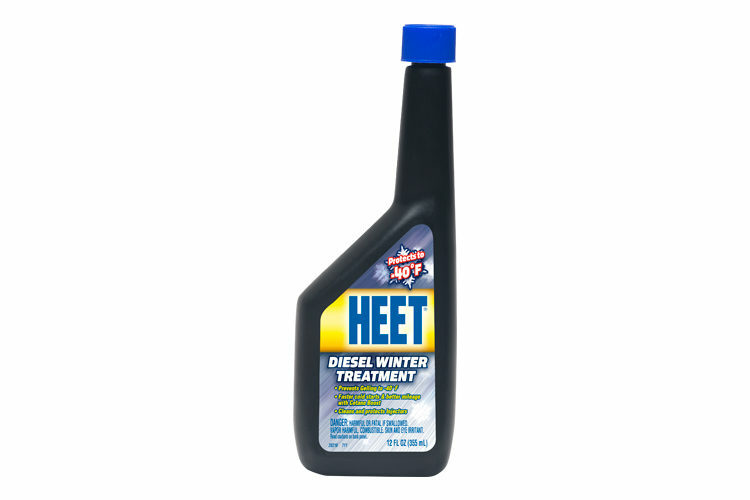 One bottle of HEET® brand or ISO-HEET® brand treats up to 20 gallons (75.7 L) of gasoline. You should not use more than 2 bottles in a 20-gallon (75.7 L) gas tank, 3 bottles in a 30-gallon (113.6 L) gas tank. HEET® brand and ISO-HEET® brand are safe to use in every tankful, in all seasons, all year-round. Should I add HEET® brand or ISO-HEET® brand before or after I fill up? Either way – adding HEET® brand before or after you fill your tank with gasoline works equally well. ISO-HEET® VS. HEET® – RED VS. YELLOW - WHAT IS THE DIFFERENCE? 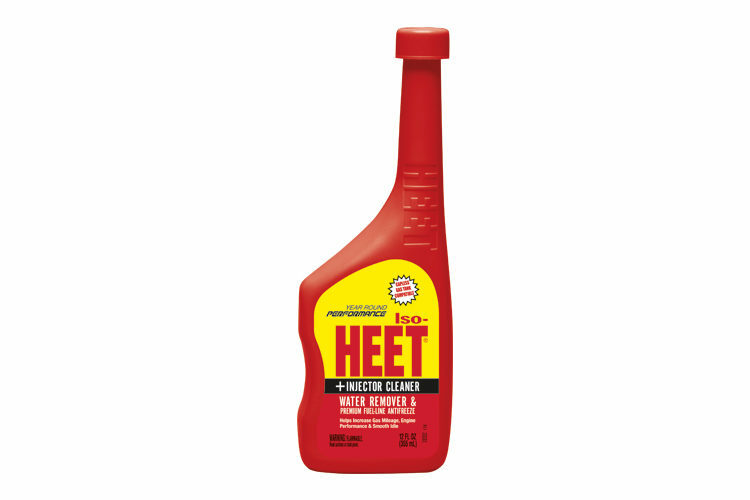 ISO-HEET® Brand (red) is a premium water remover and injector cleaner that can be used all year-round and can be used in all types of gasoline, 2-cycle mix and DIESEL. HEET® (yellow) is designed to prevent and treat freezing gas lines and remove some water. HEET® Brand (yellow) is NOT recommended for 2-cycle mix or DIESEL. WHERE CAN YOU BUY HEET® BRAND AND ISO-HEET® BRAND? Shop online for HEET®​ & ISO-HEET® brand products. HEET® Gas-line Antifreeze & Water Remover is rated 4.7 out of 5 by 46. Rated 5 out of 5 by Rihcardg from Water in gas My truck started to sputter and stumble while trying to accelerate. It got progressively worse over a few days to the point it would die every time I pressed the pedal. I was beating my head against the wall; changed the fuel filter, tps, map, serviced the map, etc. I was talking with the guys at the auto parts store and they suggested a bottle of heet. In all my 30 years of driving, I've never had an issue with bad gas before, but at this point I'll try anything. I put one bottle of heet into 25 gallons of 92 octane. After 2 hours... My truck runs great. Rated 5 out of 5 by vette84 from HEET gas line antifreeze is a winter necessity My Chevrolet is hard to start when the outside temperature is below freezing and when it does start and I drive down the road the engine misfires . I added one bottle of HEET gas line antifreeze and water remover in to the full gas tank and after driving 20 miles to work the engine smoothed out and did not have a engine miss. The vehicle started right up the next morning at a well below freezing temperature with no engine miss. Great product that works. Rated 5 out of 5 by Guy1 from HEET takes a bite out of winters bark! This product came through again to save yet another vehicle from excess moisture in the gas system. Within a few hours of pouring one bottle into the gas tank this HEET made the car run smoothly again. No more stalling or rough idling in traffic. I always use this product when a problem crops up. I also use it preventively whenever I'm concerned about the quality of gas that may have been added to a vehicle. Either way this product actually works and has given satisfactory performance each and every time that I have used it. Rated 5 out of 5 by KCwildguy from A must have for winter I use this product in every fuel tank I own. 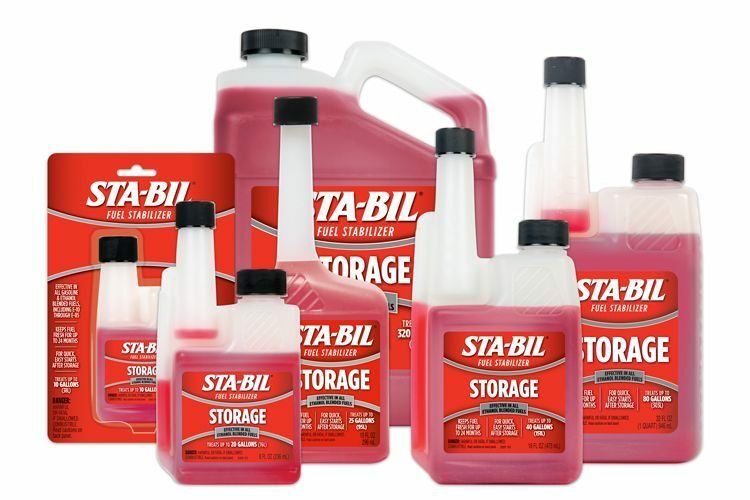 If you are storing gasoline for any length of time, water condensation forms and can freeze. HEET keeps this from happening, extending the life of your vehicle. I highly recommend HEET in every garage. Rated 5 out of 5 by Bob S from Good for removing moisture from gas tank I use Heet regularly to remove and water that may have accumulated in the gas tank. Since Ethanol separates and attracts and absolbs water, I consider the use of Heet to be mandatory.